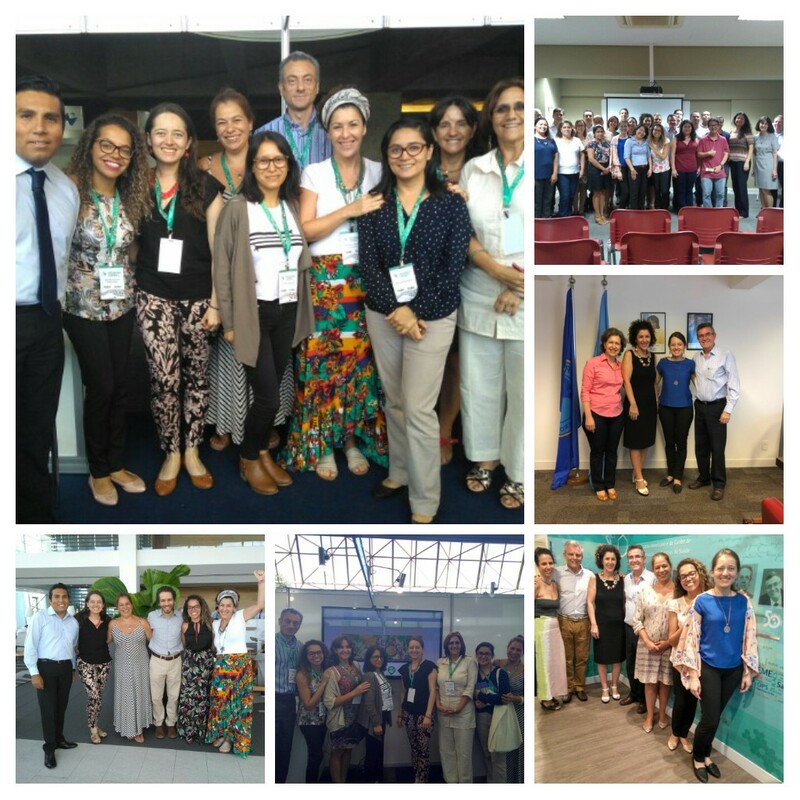 The Virtual Health Library on Traditional, Complementary and Integrative Medicine (VHL TCIM) for the Americas was launched on March 12 by the Director of PAHO/WHO, Dr. Carissa Etienne, and the Director of BIREME/PAHO/WHO, Dr. Diego González, within the framework of the 1º Congreso Internacional de Prácticas Integrativas y Salud Pública (1st International Congress on Integrative Practices and Public Health), which took place in Rio de Janeiro and was organized by the Brazilian Ministry of Health. 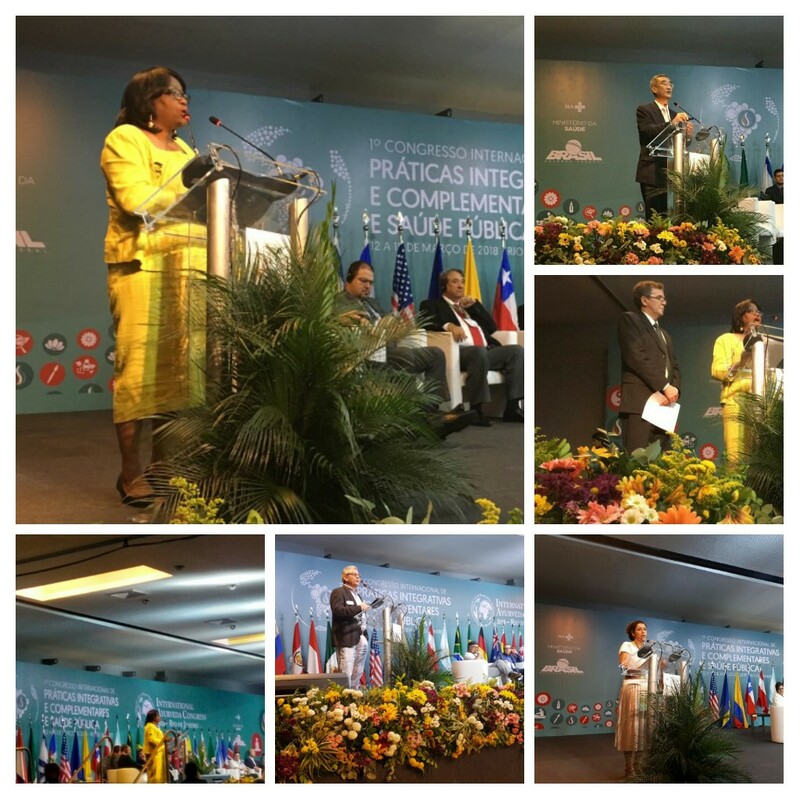 Dr. Carissa Etienne highlighted the importance of this initiative and congratulated the collective effort led by BIREME, while expressing her desire to see theTCIM VHL grow and be put to the service of all those interested, in the Region and beyond. In her speech, Dr. Etienne mentioned the need to (…) “recognize that there is an ongoing, interdisciplinary debate on the relevance of integrating and articulating traditional and complementary medicine in health systems and services”. She also expressed the “need to hold meaningful conversations and debates, [for which] having access to relevant information is crucial”. Dr. Etienne also brought up a survey led by WHO during the development of the WHO Traditional Medicine Strategy, which showed that “the main restriction cited by Member States as a limitation for the development of policies and regulations on traditional and complementary medicine was the lack of research data”. She explained that “most of the time the biggest obstacle is having access to already existing information”, since it is common for research results to end up somewhere where the people who need them the most cannot find them. TheTCIM VHL initiative seeks to facilitate the access to scientific and technical information on the topic concerned, as well as to encourage collaboration and strengthen capacity for research. TheTCIM VHL, aligned with the OMS Traditional Medicine Strategy 2014-2023, aims to expand the scientific evidence bases, thus providing a collaborative platform where access to information is easy, organized and friendly. During the inauguration, Dr. Etienne recognized that “in our societies, it is often a challenge to bring together actors from different areas in order to work collaboratively”. Thus, she pointed out the example of theTCIM VHL initiative, since it has achieved to bring together those responsible for public policies, regulation organisms, academia, professional associations, health service providers, and indigenous and Afro-descendent organizations with the common goal of “collaboratively develop a virtual space which allows us to better comprehend the panorama of traditional and complementary medicine in our Region”. For Dr. Etienne, theTCIM VHL initiative can help to take “a step forward towards achieving the promise of Universal Health”, since it will “help us listen to the various ways of understanding life, health, illness and healing; it will help us continue to place people, families and communities at the center of our work… it will help us to not leave anyone behind. TheTCIM VHL aims to continue promoting an intercultural perspective within the health systems and services of our Region”. During the inauguration, Dr. Diego González remarked that “the TCIM VHL in initiative is a response to the need expressed by the Region’s countries to have spaces for collaboration and access to TCIM information that is reliable, accessible, and that supports decision-making”. Dr. González highlighted the collaborative work done by the TCIM Regional Network for the construction of the VHL and the importance of its continuation in order for “the space to remain alive and updated”. Dr. González also acknowledged the support of various PAHO/WHO Units, including the Cultural Diversity Program from the Gender and Cultural Diversity Office, The Health Services and Access Unit, and the PAHO/WHO Office in Nicaragua, which, under the leadership of its Representative, Dr. Socorro Gross, planted the first seed of this project. 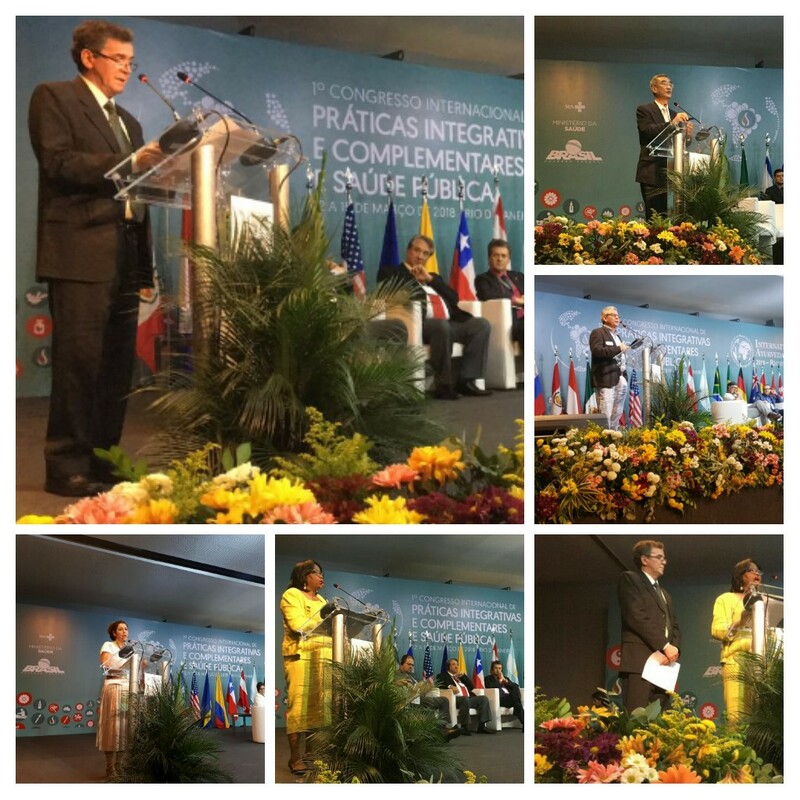 He also thanked the “Sistemas Integrados de Salud en América Latina y el Caribe” (“Integrated Health Systems in Latin America and the Caribbean”) project, funded by the Canadian Government, for its financial support, as well as the Brazilian Ministry of Health for the creation of the Brazilian Consortium of Integrated Health Researchers, an initiative articulated by the TCIM VHL Americas. At the end of his speech, Dr. Diego González invited everyone to access, become acquainted to and use the TCIM VHL Americas as a tool for empowering professionals acting in policies, management, instruction and regulation of integrated health practices.